Toon Link and Young Link Return in Super Smash Bros. Ultimate! 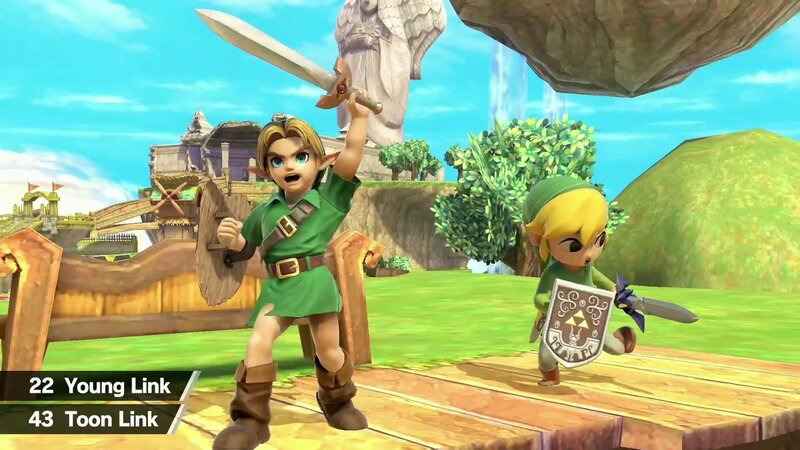 Both Toon Link and Young Link return in Super Smash Bros. Ultimate, with a grand total of three Links now available on the roster for the first time in the history of Smash. Will you blast Ancient Arrows from afar or remotely detonate bombs as Breath of the Wild Link? Will you whimsically conduct the winds as beloved Toon Link? Or will you chug Lon Lon Milk as the greatly missed Young Link between bouts? Which are you most excited about? Stay tuned for more details on Zelda, Smash, and all other news from E3 2018’s Nintendo Direct!